Considering with today’s mortgage rates being low, millions of U.S. homeowners are potentially eligible to refinance. The shocking part of this, is that few are actually doing it. 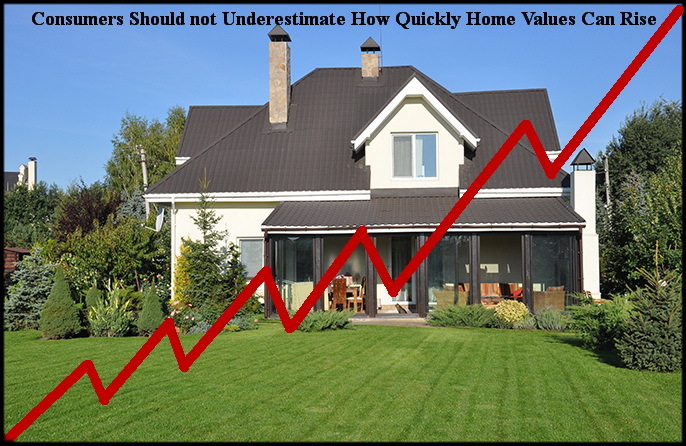 Right now, consumers should not underestimate how quickly home values can rise. According to Fannie Mae’s monthly National Housing Survey, 41% of surveyed consumers think it would be too difficult to get a mortgage approved today with some believing that their credit is too poor. While others are thinking they lack sufficient enough home equity. With many consumers wondering how quickly home values can rise, NSH Mortgage has the tool and knowledge to help Florida home buyers. Yet, mortgage lenders are approving loans for borrowers with lower average credit scores as compared to recent years and home estimates have climbed strongly since 2012 in many U.S. markets. Because of this, current home values now eclipse the peak values set over the last decade. Use NSH Mortgage to help you in deciding a beneficial Home Loans in Florida that best suits your needs. We do not know exactly how far home values will rise this year but, what we do know though is that consumers have under-guessed the future of home values every month for the last five years, at least. Similarly, last year, 95% of surveyed consumers said mortgage rates were at a bottom. But rates fell steadily in 2016. Predicting the future is also pretty difficult, U.S. consumers can now expect home values to rise just 2.1% between this year and next. Consider U.S. home demands are steadily increasing, this is because of the availability of low down payment loans which include the HomeReady™ mortgage and the 100% financed USDA loan. Plus, mortgage rates remain suppressed at just above four percent. Today’s market gives the opportunity to buy homes affordably and everyone like; first-time home buyers, move-up buyers, and real estate investors know this. It has now created a supply and demand imbalance which results in rising prices in the housing market. In addition to asking about future home prices, Fannie Mae’s survey also asks people to predict the future of U.S. mortgage rates. Just 5% of those surveyed expect mortgage rates to be lower this year. Not surprisingly, this is similar to what consumers have said since 2011. In most years, the consumers were wrong about this but the market is unpredictable so we cannot blame them. Putting aside the spike in mortgage rates that accrued during 2013, and a recent run-up following the 2016 election, mortgage rates have been on a slow, steady decline going back five years. Current 30-year mortgage rates are still near four percent for buyers paying discount points; and zero-closing cost mortgage rates are only slightly higher. If you’ve been exploring the idea of a refinance, get competing quotes – especially if your loan is backed by the FHA, since they recently cut lending fees and there is money you can save. NSH Mortgage is able to provide our clients with competitive mortgage rates, while closing their loans more effectively. If you are interested in getting a new home loan, call NSH Mortgage today, as you should not underestimate how quickly home values can rise.